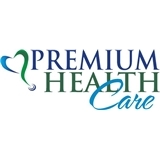 Premium Healthcare (Coral Gables) - Book Appointment Online! Doctor Reid is very caring and professional. But the waiting time was almost one hour. Then another hour was to wist for ultrasound. I spent in that office 3 and half hours. If you have time is ok. Doctor is very knowledgeable.